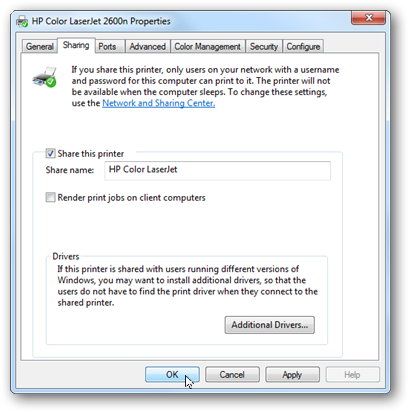 First, enable network printer sharing for the printer attached to your computer. 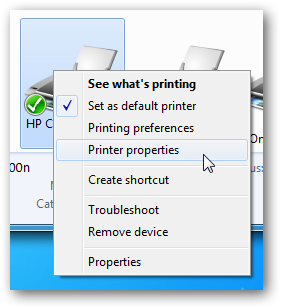 In Windows 7, click on the Start button and select Devices and Printers. Locate your printer, right click on the icon and select Printer properties. Click on the Sharing tab, check the Share this printer box and then click OK. 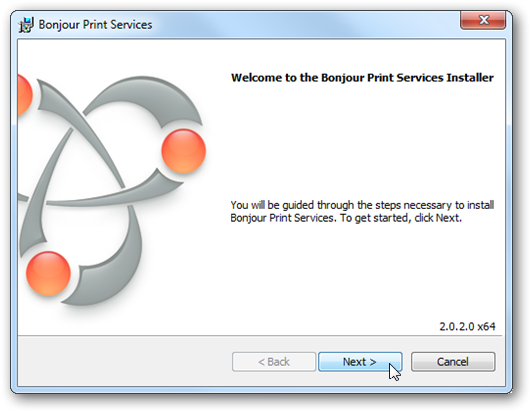 If this machine does not have iTunes installed you will need to install the Bonjour Print Service. You can download the file from Apple directly. After Bonjour is installed, make sure UDP port 5353 is open if you have a firewall. Now it is time to install the AirPrint components. There are a few installers available, but I recommend downloading the Elpamsoft AirPrint Installer. Airprint Installer Mirror. After the file has been downloaded and extracted, run AirPrint Installer.exe with administrative rights (right click on the file and select Run as administrator). Click the Install AirPrint Service button. Finally, make sure the Service Startup selection is set to Auto and click the Start button. The setup is now complete. Test AirPrint by using Safari and the Bookmark button or in Mail with the Reply button. You will find a Print option in the pop-up menu. Select your Printer and touch Print. You may be asked to authenticate, use your windows account on the host computer.